The human DNA is 99.9% identical and 0.1% only make us differ from one of each other. What about a magic lipstick which could make your lips unique and differ from others? What about the perfect shade of pink which suits your skin tone perfectly? 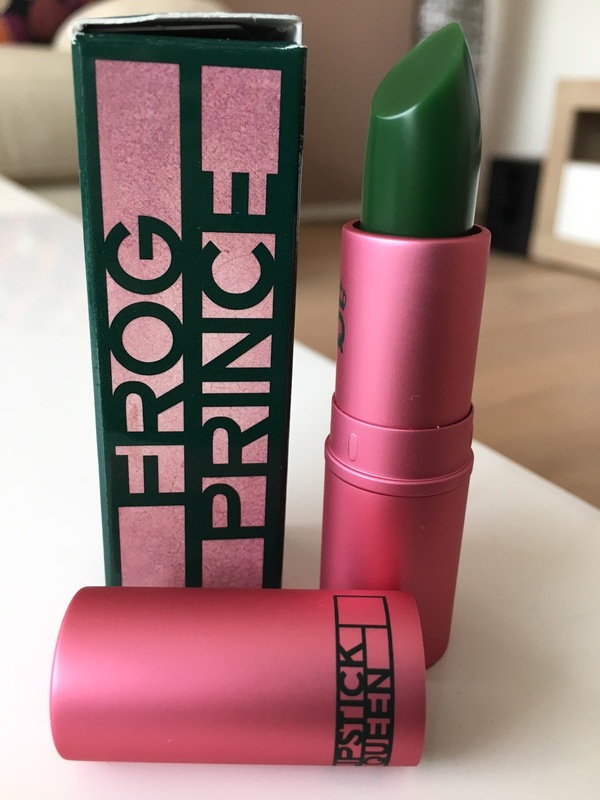 Sounds fancy right..well… here it is the frog prince lipstick by the Queen. The lipstick itself has an emerald green color but it is supposed to turn into the perfect shade of rosebud after applied to the lips. How does this magic work? It is basic chemistry. As soon as the green reacts with the warmth of your lips it will turn into a pinky shade. The lipstick will adapt to your pH and your natural color hence no lips will look the same. This is what the brand describes. Does it work? Yes, it does. After applying the green turns into a pink shade and it looks nice and natural. The downside os this lipstick is though due to the fact that it is very moisturizing and shiny the color is not intense it just gives you a sheer color. I paid about 30 Dollars for this lipstick in the country I live and that is a lot. If you like full coverage lipstick this is not something for you. I am impressed about the fact that the lipstick is made of castor oil which is very hydrating and good for your skin. I use Castor oil in my skin care a lot. It has other good ingredients like Shea Butter and Vitamin E which acts as an anti-oxidant. Like other lipsticks which are not organic it has chemicals too. Would I buy it again? I guess not. The idea is nice and it does work but for the price you pay it is not really worth it in my opinion. It is a good lipstick to apply just before you leave because you do not need ti be super careful but a tinted lipbalm can do that too right? I wish you happy easter guys! Have an amazing time with your family and friends. ← Have a cup of raspberry leave tea!